CLEAN TITLE!! LOW MILES! 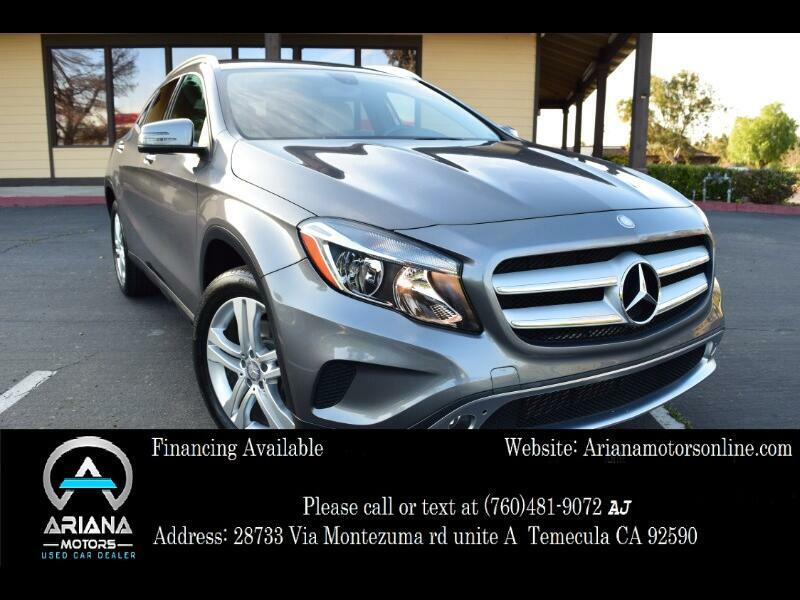 2015 Mercedes-Benz GLA-Class FWD 4-Door GLA250, 2.0L L4 Engine, Automatic Transmission, Clean Title with 30,245 Miles. This Mercedes-Benz is absolutely beautiful with its Gray exterior and Gray Leather interior. It’s equipped with Navigation, Memory Seats, Cruise Control, AM/FM/CD, Dual Air Bags, Bluetooth and many safety options. If you’re looking for power and style then this car is for you! It drives like beauty with plenty of options it won’t disappoint. Call today for financing options or with any questions.